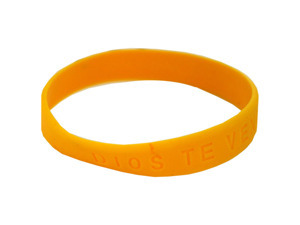 Rubber bracelets are a great way to send a variety of messages, from reminders to care for your health to subtle reminders to visit a particular business. These bracelets feature a variety of messages in Spanish. Each is sized to fit most wrists.